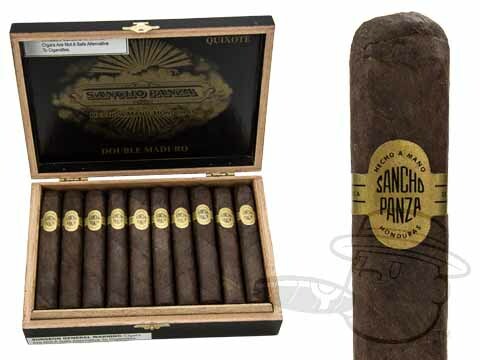 Like Sancho Panza, the loyal squire who remained at Don Quixotes side through all of his delusions of grandeur, the Sancho Panza Double Maduro cigar makes a worthwhile companion. 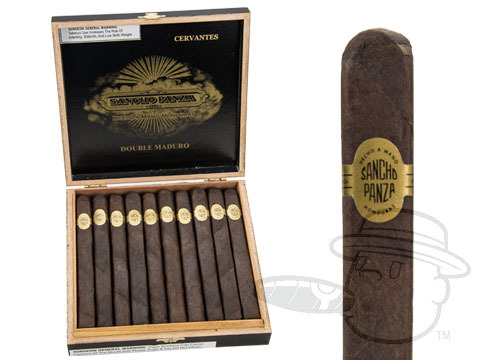 It is a cigar you can always depend on for an excellent draw and a rich-yet-subtle, full-bodied flavor. 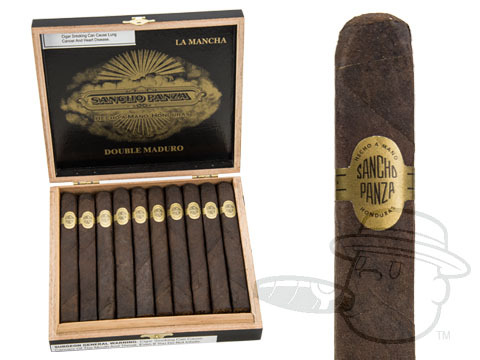 The Sancho Panza Double Maduro cigar gets its name from the fact that it has both a maduro wrapper and a maduro binder. 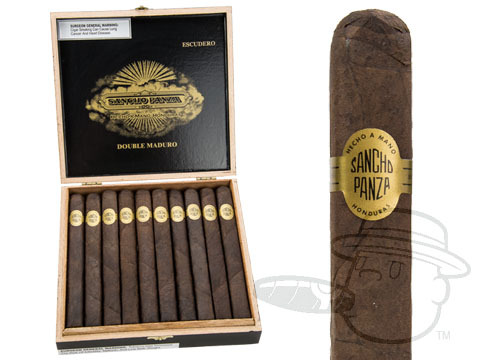 Each Sancho Panza Double Maduro cigar is made with a hand-selected, extra-dark Connecticut Broadleaf Maduro wrapper and a specially aged, dark Connecticut Shade binder plus a premium blend of Honduran, Nicaraguan and Dominican filler tobaccos that delivers the rich, full taste for which Sancho Panza has become renowned. 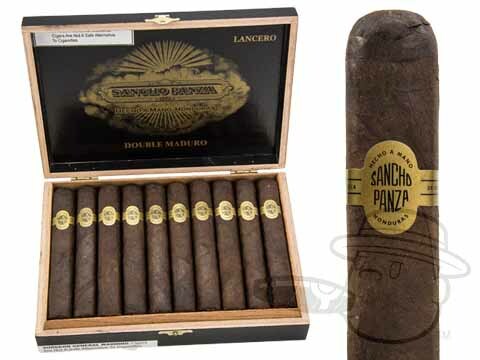 Because Sancho Panza Double Maduro offers you a great value as well as a great cigar, you can enjoy it every day.